The 24th match of the IPL 2019 gave us a thriller today as the Mumbai Indians won the high-scoring match from an impossible situation. Match number 25 will be between the Mumbai Indians and the Chennai Super Kings at the Sawai Mansingh Stadium in Jaipur. Before we get into the details of match schedule, start time and live streaming details, let’s have a quick look at the changes that have happened today in the IPL 2019 points table after the last ball thriller between the Mumbai Indians and the Kings XI Punjab at the Wankhede Stadium today. MI beat KXIP by 3 wickets. The Chennai Super Kings are at the top of the IPL 2019 points table as they have ten points in their kitty. Kolkata Knight Riders are on number two of the table with eight points. Mumbai Indians are on number three and Kings XI Punjab are placed on number four of the table. IPL 2019 Points Table Updated: Chennai Super Kings Back on Number One of the Indian Premier League 12 Team Standings Following Win Over KKR. 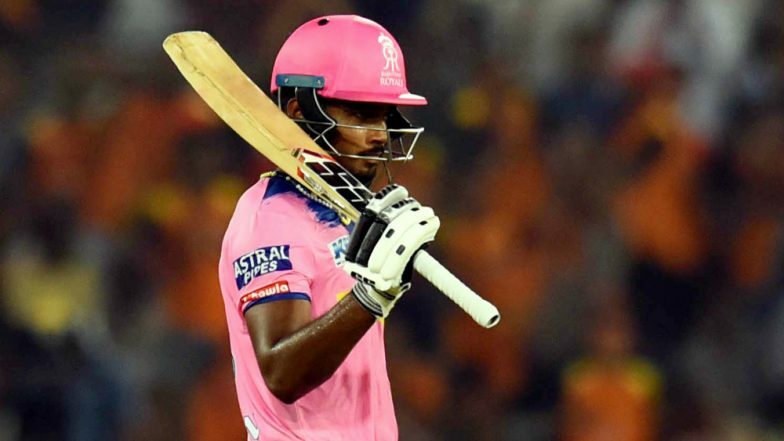 The 24th match of the IPL 2019 was a high scoring thriller which actually went down the live wire. The results of the match swung like a pendulum as Mumbai Indians locked horns with Kings XI Punjab at the Wankhede Stadium. But in the end, it was Mumbai Indians who walked away with the victory by three wickets. Courtesy Kieron Pollard blistering knock of 81 from 30 balls. MI vs KXIP, Stat Highlights: Kieron Pollard’s Magnificent 81 From 30 Balls Helps Mumbai Indians Beat Kings XI Punjab by Three Wickets. Rajasthan Royals vs Chennai Super Kings, face-off in the IPL 2019 match 25. It will be played at RR home venue- Sawai Mansingh Stadium in Jaipur. The RR vs CSK is scheduled to begin at 08:00 p.m (IST). Fans can watch the IPL match two both on TV and via online streaming. Star Sports holds the telecast rights of IPL 2019 and will broadcast the match live across its network. The live streaming online of IPL 2019 will be available on Hotstar app and website. Fans can click here, for RR vs CSK live score updates.